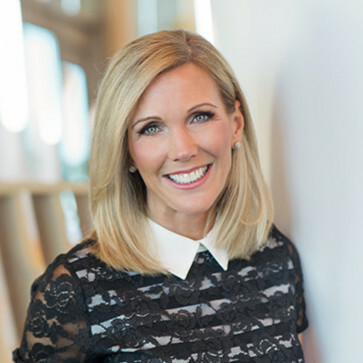 Joanie Courtney is President and Chief Marketing Officer for the Professional Division of EmployBridge which includes the RemX, Decca and Resdin brands. Joanie joined the EmployBridge family in 2016 with a 20 plus year proven track record in professional and commercial staffing, including executive roles with two of the largest employment firms in the world. She previously spent three years in the digital recruiting industry as Senior Vice President of Global Market Insights at Monster Worldwide. Joanie had global responsibility for leading Monster’s insights and business intelligence resources to support product development, marketing and sales initiatives throughout the Monster organization and to deliver global market research & intelligence on employment data and workplace trends to Monster’s customer base. As an employment industry expert, she is often called upon to discuss the job market, careers, and workplace trends and speak to the talent supply and demand cycles that impact U.S. employers. She is frequently featured as a keynote speaker at industry conferences, and her commentary on the employment market has been featured on media outlets like Fox and Fox Business Network, Associated Press, CNBC, MSNBC, CNN, ABC, PBS, The Wall Street Journal, U.S. News & World Report, and Forbes. She is a regular contributor to the Mornings with Maria show with Maria Bartiromo on Fox Business for the BLS monthly employment reports. Joanie has a Bachelor of Science with Highest Distinction from the State University of New York and she currently lives in Parkland, Florida with her husband Brendan, her son Chase and daughter Ashley.